Local resident and award-winning comedian Dave Chappelle is best known for his stand-up act. However, his appreciation of good music is hardly a secret. Since 2015, Chappelle has brought some of the best talent in the country to the small village of Yellow Springs, Ohio (pop. 3,800), in a revival of the African-American juke joints that once dotted the rural South in the Jim Crow Era. It all happens in a barn on a working farm that TLT helped preserve, a historic property known as Whitehall Farm. 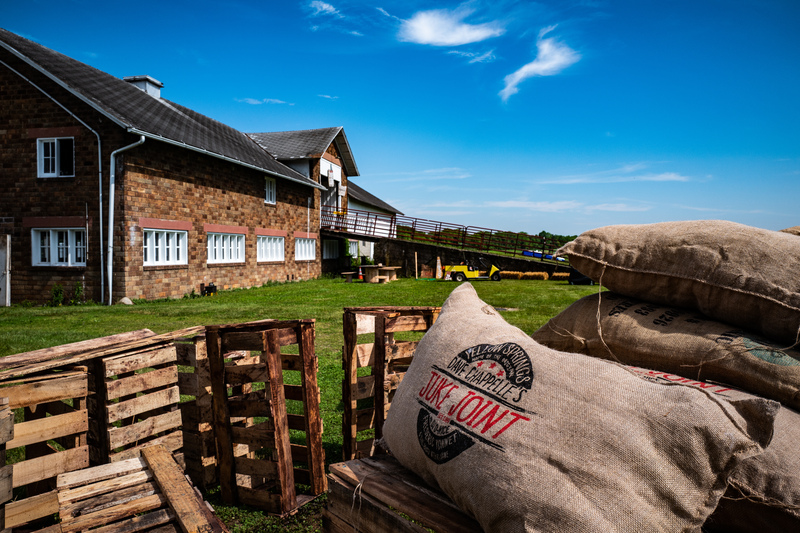 The Juke Joint provides the accredited land trust with several opportunities to build public awareness of its mission, recruit donors and thank volunteers. “For the past three years, this has been one of our largest fundraisers,” says Executive Director Krista Magaw. Whitehall Farm and its mansion are now nationally known as the home to one of the first meetings of the new Republican Party (1856); to the breeder of the most famous Shorthorn bull in the world, the Whitehall Sultan (1908-13); and now as the home of the original Dave Chappelle’s Juke Joint (2015). Historically, juke joints were African-American establishments that sprang up in the rural South during the Jim Crow era. Poverty made life tough for rural workers. Since they were barred from white establishments, African-American sharecroppers and plantation workers turned barns and other ramshackle buildings into safe places to socialize, eat, drink, dance, gamble and relax from the pressures of society. “Musically speaking, the Jook (sic) is the most important place in America. For in its smelly, shoddy confines has been born the secular music known as blues, and on blues has been founded jazz,” wrote Zora Neal Hurston, influential author of African-American literature and anthropologist. R&B, funk, soul, rock ’n’ roll, and hip-hop all trace their roots to the juke joint. All are welcome at Chappelle’s modern-day Juke Joint as it celebrates this lineage and the legacy of African-American music. Once inside, the state-of-art production signals how serious Chappelle takes his music. Meanwhile the smell and the heat remind you you’re in a barn. Hip-hop legend DJ Derrick “D-Nice” Jones kicks off the night, spinning from one end of the barn while The Band with No Name positions itself at the other. Chappelle toggles between stages and serves as instigator and ultimate hype-man. Harmonica virtuoso and bandleader Frédéric Yonnet takes the audience on a trip through Chappelle’s personal playlist that includes tunes ranging from Coltrane to Nirvana. Yonnet, who toured with legends Stevie Wonder and Prince, leads the band in a “Band vs. DJ” sound-clash that blurs all musical lines. Celebrity guests cycle on and off stage at their whim. There’s no pressure. Akin to the juke joints of the old South, everything is improvised, and the room feels safe. Cell phones are prohibited. “The no-cell-phone policy is a critical part of the culture of the Juke Joint. It allows the audience to be more present and attentive, and it allows performers to relax and feel comfortable knowing their improvisation and freestyles won’t be posted online the next day,” says Carla Sims, Chappelle’s publicist and event producer. Chappelle has hosted Juke Joints and pop-ups — last minute events — around the world in cities that include Johannesburg, London, Toronto, Montreal, New York, Los Angeles, Austin, Chicago and New Orleans. 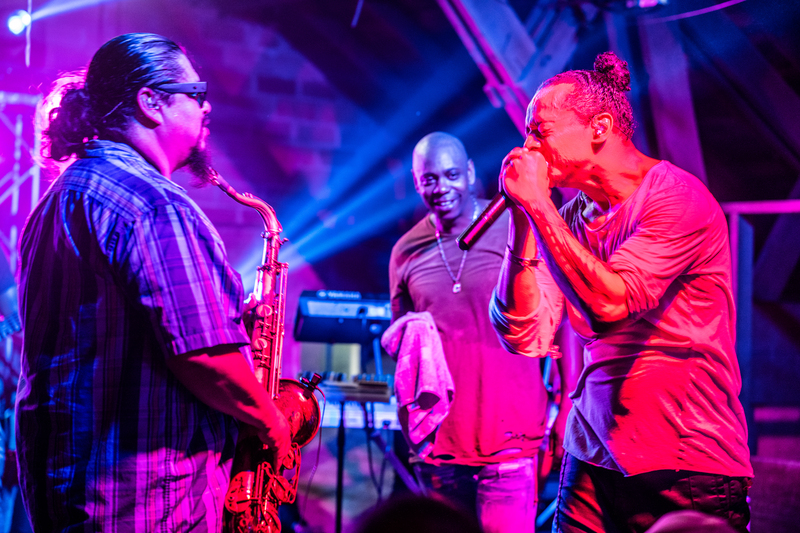 Celebrity guests who have made their way to the barn in Yellow Springs include John Legend, Jill Scott, Robert Glasper, Bradley Cooper, Naomi Campbell, Q-Tip and Jarobi White (Tribe Called Quest), Talib Kweli, Pharoahe Monch, Doug E. Fresh, Kardinal Offishall, DJ Trauma, DJ Cipha Sounds, Hi-Tek, Martin Luther McCoy, and comedians Amy Schumer, Hannibal Buress, Donnell Rawlings and others. In addition to supporting the Tecumseh Land Trust, the Juke Joint brings incremental revenue to area businesses, including hotels, restaurants, local food trucks, shops and contractors. “At the first couple of events, we set up an information table and distributed flyers about the land trust; however, much of the materials ended up in the trash,” says Magaw. They’ve learned a few lessons since then. Now, TLT generates awareness through signage and word of mouth. Co-branded street banners, land trust T-shirts and inclusion in marketing and press materials made the difference during the last event. “Plus, Dave is a great storyteller and having him shout out the land trust and our valuable work from the stage is priceless,” says Magaw. Carla Sims is Dave Chappelle’s publicist and event producer. Megan Bachman is the editor of the Yellow Springs News.